A reliable source for Rubber Rolls information and a resource for accessing leading Rubber Rolls and suppliers. Rubber rollers, also known as rubber rolls, are chemically resistant, shock absorbent cylindrical tubes that service many essential manufacturing applications. Commonly, rubber roller applications relate to material application, movement facilitation and material support and transportation. Examples of these applications include: conveyor belt, assembly line operation, grocery store checkout line operation, mail machine operation, printing, rotary screen printing, automotive rubber components laminating, industrial heat treat equipment operation, automatic car wash movement and boat trailer function. They’re also commonly used as wheels and castors. Rubber Rolls Rubber rollers, also known as rubber rolls, are chemically resistant, shock absorbent cylindrical tubes that service many essential manufacturing applications. 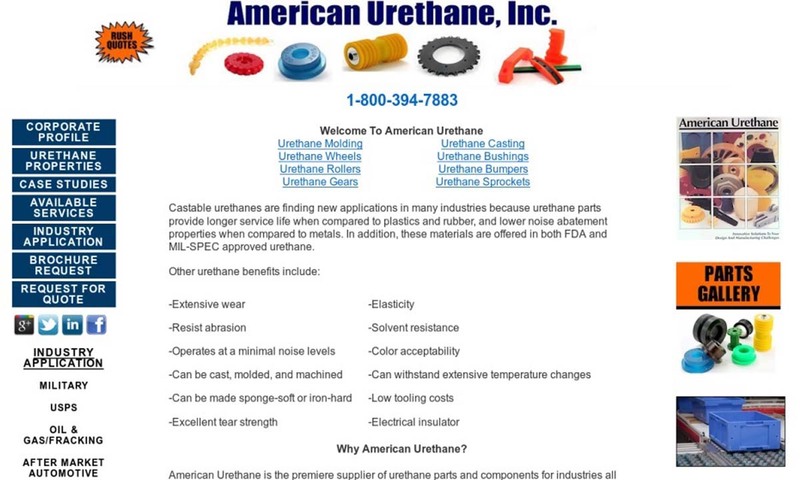 We are the premier supplier of urethane rollers for industries around the world. We offer rapid quote responses and fast turnaround times. Our rubber rolls are designed to withstand the toughest rigors, like temperature changes, abrasives, and solvents. 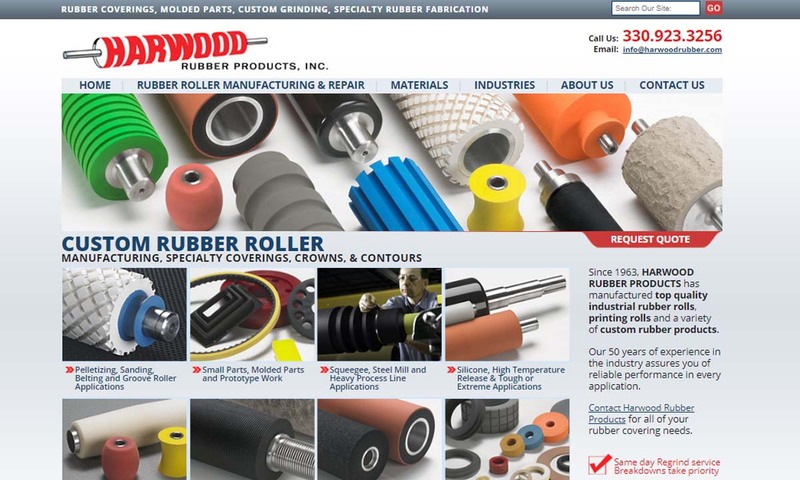 Harwood Rubber Products provides top quality rubber rollers and a variety of custom products. We are capable of producing a great diversity of rolls and coverings for a broad customer base. Our goal is to keep our customers happy by providing quality service, affordable products, and the best rubber rolls in the industry. We use our years of experience and knowledge to ensure that our products will meet your needs every time. Durability, low rolling resistance, capacity and cost are important factors in designing or selecting rollers; service, experience and product performance are critical in selecting a supplier. 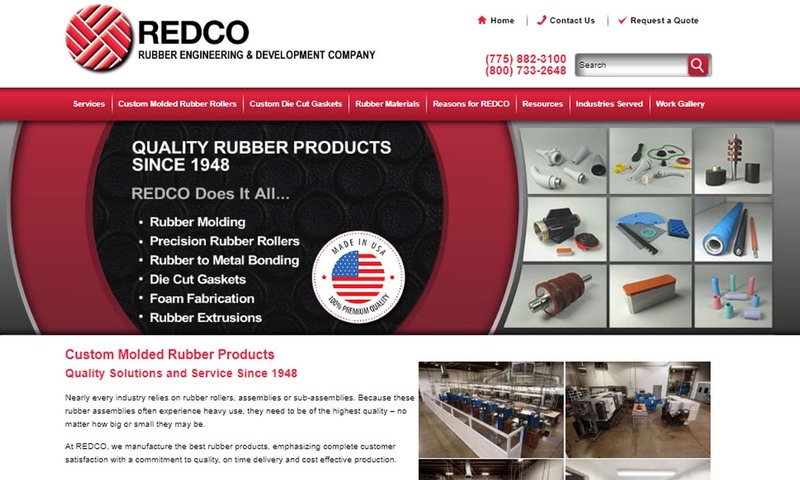 Since 1948, REDCO Rubber Engineering & Development has been manufacturing rubber rollers, idler rolls and conveyor rollers. We serve industries such as computers, printers and paper handling. 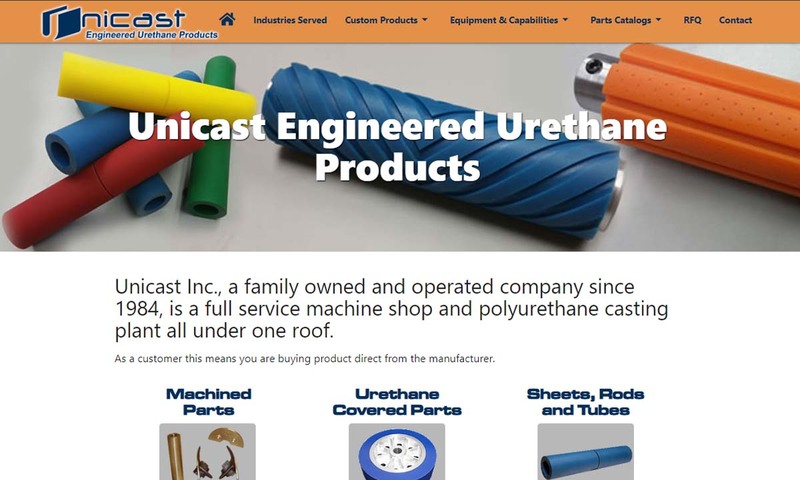 We manufacture a wide variety of rubber products at Unicast. Our primary market is the envelope and box industries. We manufacture rubber products including rubber rolls that help other manufacturing plants create their own products. Our goal is to bring customer service to our customers. We manufacture rubber rolls that are manufactured using integrity and quality materials. For over 55 years, we have provided our customers with honesty, integrity, and cost effective solutions to their problems. Before rubber, people used rollers made from materials like wood and metal. Rubber rollers would not exist if not for the discovery of vulcanization, developed by Charles Goodyear in 1840. Goodyear found that by adding a sulfur and lead and dropping the rubber mixture into a stove, it would become weather resistant, chemical resistant, water resistant and elastic. 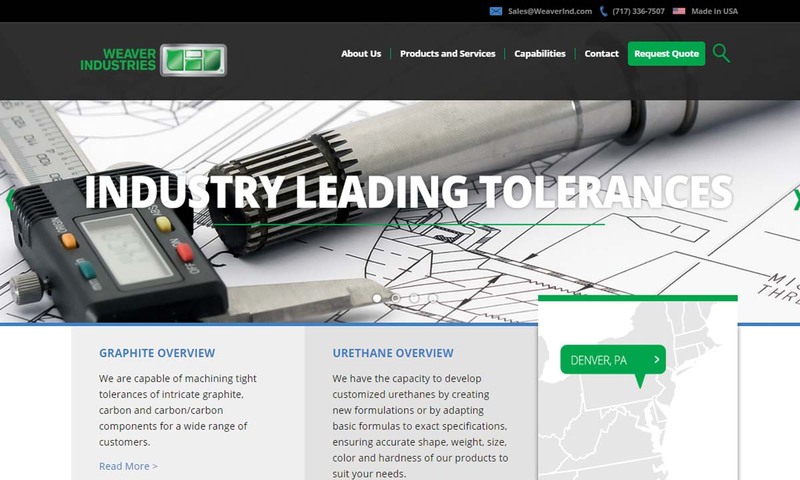 Rubber Roller – Harwood Rubber Products, Inc. Shortly after, as engineers experimented with the process, manufacturers of the Industrial Revolution discovered that they could add soft or hard rubber to a hard steel shaft to perform material nipping (pinching or squeezing) applications that the steel alone could not. Thus, the rubber roller was born. After the rubber roller was invented, manufacturers in a wide variety of industries began using it for their purposes. For example, starting in the 1920s, publishers began relying on rubber rollers to spread thin glue layers and apply ink to their printing plates. In the years ensuing, little has changed about the rubber roller, except the rubber materials with which it is made and the applications for which it used. Now, both the material possibilities and the application possibilities for rubber rolls have grown exponentially. Standard rubber roller manufacturing involves a rubber fabrication step, which can be achieved either by plying method, extrusion, casting, or die press. Plying involves the calendering process, during which, to make calendered rubber sheeting, rubber is passed through a combination of rollers. As the rubber sheet moves through the rollers, it is smoothed and flattened. Using this process, two types of polymer can be sandwiched together, if an application demands. Once the calendared sheet is ready, the sheet becomes a rubber cover of an iron core or another metal core. With that, it is a rubber roller. Based on client requirements, sheets can be polished, glazed or embossed. Extrusion is the most common manufacturing method that involves an extruder. With this method, a rubber profile of fixed cross-sectional can be made continuously by-passing rubber through a die. In this process, raw material is heated by passing it through a screw mechanism, which heats material by a combined action of pressure and temperature, and then the material is pushed through the die. The critical step in this fabricating technique is curing, which involves conditioning the rubber product in a controlled environment where it is exposed predetermined temperature and pressure. The curing process gives the structural strength to a rubber product by removing porosity. Casting, inarguably, is the oldest way of giving shape to a range of materials. From automobile engines to high-end sculptures, have been crafted by this method. Whatever the material is, all is molded by a same principle, which involves pouring of raw material in a mold and then exposing it to an oven for a period of time that cures it and set it in a predefined shape. Die press rubber fabrication commonly involves a hydraulic press and a die. The die gives the shape to the raw rubber, whereas press provides pressure and heat to cure the rubber product. The process begins by filling raw rubber into a metal mold, and then a hydraulic arm fitted with a die presses the mold and provides heat and pressure. Unlike extrusion, the press method is not continuous, thus is not as efficient as extrusion. Rubber rollers are usually manufactured via casting or molding, but they may also made through extrusion. Casting processes are utilized only with rubber rollers that have metallic cores. In this case, cores are formed through a metal casting process like stamping, after which they are bound to a rubber coating. Binding is carried out using a bonding agent that usually made of polymer-solvent solutions, a primer coat based on phenolic-style resins and a top layer of mixed polymers and other various materials. Rubber roller molding processes include compression molding and injection molding; these are used for solid rollers. Extrusion of rubber rollers takes place when manufacturers heat chosen elastomeric material(s) and squeeze the molten material through a die that has a pin in the center to fabricate the hollow tube. The next step involves surface grooving. There are a number of grooves that can be created on a surface of rubber, including square, trapezoidal, “V”, double edge saw, half circle, and round. Moreover, on a rubber roll, these grooves can be made vertically, horizontally, helically, worm, diamond cut groove and screw threaded. At the end of this step, the products are inspected for aberration. The elastomeric materials from which manufacturers can choose from is fairly varied. Each material has its own strengths and weaknesses, but all of them have some level of resistance to water, wear, certain chemicals and heat extremes. Among the many, a few materials that are frequently used to fabricate rubber rollers include: EPDM, silicone, nitrile, neoprene, polyurethane and natural rubber. Metal core rollers are usually made with steel, stainless steel, aluminum or another metal that fits application requirements. When designing a rubber roll for a specific application, manufacturers consider a number of factors, such as: chemical contact (required chemical resistance/inertness), standard requirements, required length, load capacity, thickness, shape and tapering, etc. They also consider roller speed. If a roller is exposed to high speeds with large loads, manufacturers generally recommend you buy rubber rolls with a core that can be water cooled. When rubber is nipped, it releases heat—called hysteresis heat—and water cooling is an effective way to contain that heat. Manufacturers can easily customize rubber rolls per your specifications. For example, you may order rubber rolls to meet unique diameter and length specifications, and you may order them in a variety of thicknesses and colors. In addition, manufacturers can use different types of rubber to make rollers inert against chemicals based on an application. They can also put on specialty finishes or coatings and specialty shaping. Find out more by discussing customization with your prospective supplier. A typical rubber roller has the maximum load capacity of 100 kilogram-force centimeter (kgf/cm) when force is exerted linearly. However, the load capacity of a roll varies with the rubber hardness, materials, and the rotation speed, as well as thickness of rubber, the temperature range, type of the core, and construction. Therefore, we recommend you check the rubber roller load capacity while installing them. If needed, your manufacturer can design a roller with greater load capacity of 100 kgf/cm. Ask your manufacturer if your requirement falls in this range. Rubber rolls feature a rubber outer covering and a metal core. They typically feature grooves, which offer a variety of possible uses depending on the application, such as: increasing the amount of coating, smoothing wrinkles out from a paper or plastic film, preventing belts from slipping in a conveyor system, embossing surfaces, helping to release heat created by friction and adding texture to rubber rolls. Ink rollers, also called printing rollers, apply ink to paper and other materials; rollers may contain ink within themselves or they may be engraved with a pattern. Laminating rollers, made of heat resistant materials like silicone rubber, are heated up to 500°F to laminate materials on both a small and large scale. Drive rollers are movement focused rubber rollers. Often used for converters and web machines, they operate using integral shafts equipped with keyway that acts as a gear. Guide rollers, or idler rollers, provide support to other roller systems like conveyors, but they do not actually move anything. Grooved rollers are called so because they have a grooved pattern, usually a spiral, U or V; grooved rollers are usually part of moving systems like belt driven conveyor systems. Conveyor rolls, or conveyor rollers, simply move, or convey, materials. Live shaft rollers are designed to withstand difficult environments and high load quantities; they have external bearings in which both the roller shaft and the roller rotate. Dead shaft rollers have internal bearings located at the same place as a spinning roller that spins around a stationary shaft. Cleaning rollers are used to remove dirt, dust and other contaminants from different surfaces. They are highly specialized to each surface they clean. Spreader rollers, frequently machined with specialized groove designs, like herringbone, spiral, circumferential and lateral-fluted, are commonly used for webs spreading machinery and other spreading applications. In the case of web spreading machinery, spreader rollers stretch and spread the web to prevent and fix wrinkles. Stinger rollers, finally, are configured very much like dead shaft rollers, but they are designed specifically for marine applications. Urethane rollers, also known as polyurethane rollers, are made from a synthetic roller from polyurethane. They are inexpensive to produce, they have many great qualities, including: shock resistance, formability, durability, elasticity and strength. 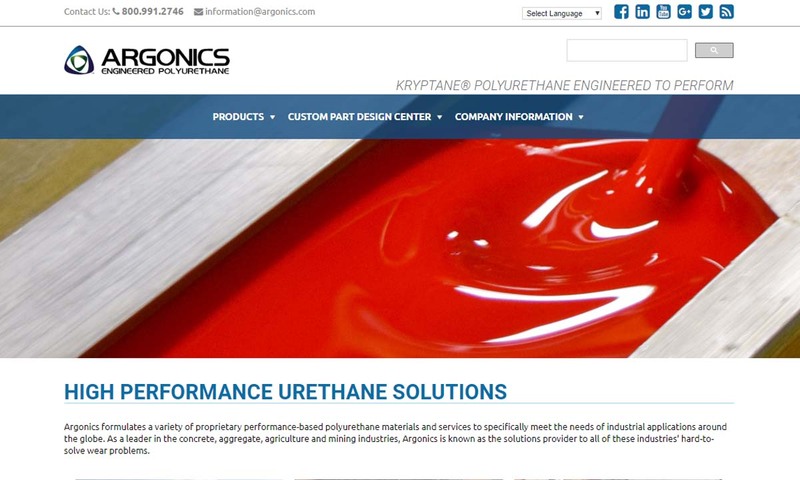 Urethane rollers are best for use in: data storage, packaging and assembling, printing, material handling, measurement systems and office equipment. EPDM rollers are heat resistant, corrosion and oxidation resistant and weather resistant, and are thus quite versatile. However, they do not hold up well against petroleum products. Industrial rubber rollers are rubber rolls used in industrial applications, primarily manufacturing machines like: stamping presses, conveyor systems, bending machines, printing presses, and the like. Many types of rollers can be categorized as industrial rollers, as long as they perform industrial applications. Rubber rollers offer their users a wide range of advantages. First, unlike metal rollers used in conveyor system, rubber rolls have high coefficient of friction, which provides great traction in moving parts and components. Also, rollers can compensate for small changes emerging from machine functions. In addition, these rollers offer all of the advantages of rubber itself. The reason that rubber is such a popular material for making rollers and assisting object movement is that it can be repeatedly compressed and relaxed without losing its shape. A material that could not hold its shape, which would need constant replacing, would be virtually useless. In addition, rubber can absorb shocks and resist and protect against damage and scratching. Rubber is also fairly inexpensive to extract and manipulate. Another great thing about rubber rollers is the fact that the rubber can be removed and recycled again and again. Rubber rolls, just like every other component, has its limits and should be used as per the instructions. To learn how to extend the working life of your rubber rolls, read the advice below. High temperature is an enemy of rubber, regardless of the rubber type used for making rolls. Therefore, it is best to avoid rapid heating while using rubber rolls. You should also avoid rapid heating because the bonding adhesive usually has low heat resistance even lower than the rubber. If your application demands work under high temperature, we recommend you keep your roller temperatures under operating range by water cooling them. To avoid damage, you also need to store them properly. While storing a rubber roll, you must hold the shafts and stand them upright, so the rubber part does get exposed to other materials. 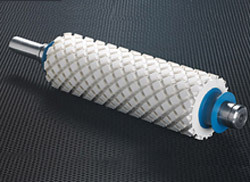 Moreover, since rubber can be damaged by UV light, we recommend that you store your roller in a cool and dark place. During regular maintenance checks, you need to pay special attention to a number of roller parts. These include: ball bearings, axes and gears. Watch out for: worn-out ball bearings, bearings misaligned along their axes, overloaded gears, faulty gears, unbalanced rollers and deflected rollers. Rubber rolls are subject to a number of different standard requirements, depending on their application. For example, rubber machinery like extruders, generally speaking, any rubber roll you purchase should meet ISO standards for rubber products. In addition, most rubber rolls are rated according to ASTM International’s rubber hardness scale. This is helpful for determining if the roll meets your requirements. If you’re looking for a set of precision rubber rolls that will serve you well, you need to work with the right manufacturer. While there is an abundance of companies out there ready to take your business, there are only some that have proven their worth in the field. 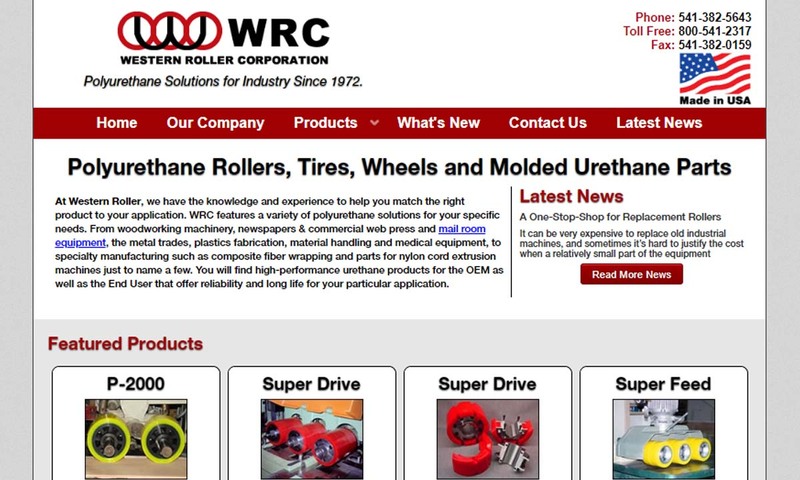 On this page, we’ve listed some of those proven rubber roll manufacturers. Before looking them over, we recommend you take time to make a list of specifications that you can reference as you browse. Remember to include details like your budget, your deadline, your delivery preferences and your customer support preferences. Once you’ve done that, you can get to browsing. As you browse the companies we’ve listed, whose profiles are sandwiched in between these informational paragraphs, frequently cross-reference your specifications list for compatibility. Pick out three or four suppliers to whom you’d like to speak directly, then reach out to each of them for a quote. After you’ve had your conversations, you can compare and contrast the suppliers. Choose the company you believe will serve you with the most integrity and deliver the best products. Good luck!